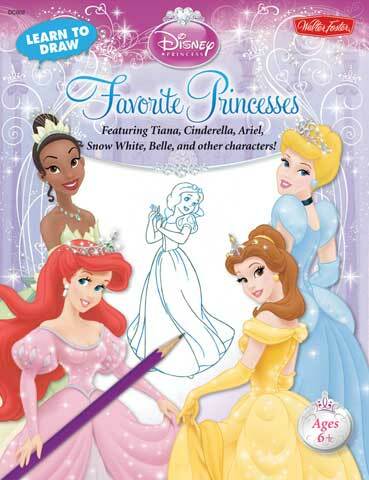 With this drawing activity book, kids can learn how to draw Snow White, Cinderella, Sleeping Beauty, Belle, Ariel, Jasmine, Mulan, Pocahontas and other favorite Disney princesses in their journeys to live happily ever after. It presents each princess whether she comes from a faraway land, a delightful castle, an enchanted wood or under the sea, with step-by-step drawing instructions, providing hours of artistic fun. The simple, easy-to-follow method shows each new drawing step in blue so artists of all levels can learn to draw with confidence. It also has helpful tips and tricks from professional Disney storybook artists so artists can create their own style or emulate artists they admire.